If I can get home in time, I'd like to join in this Friday. Is Melanie's Facebook group private? Anybody know? 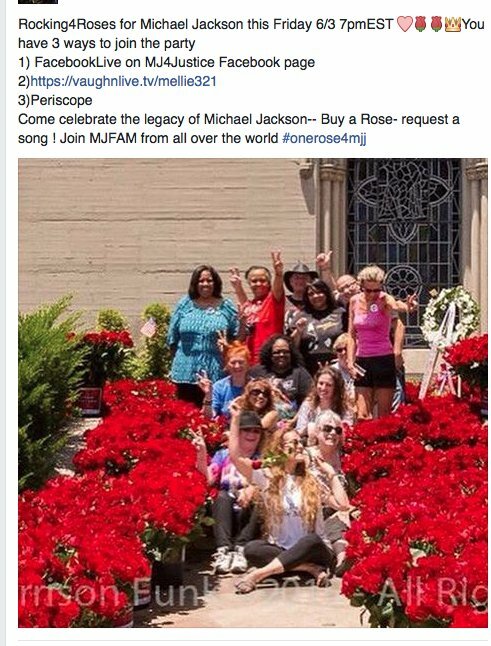 17th: http://onerose4mjj.blogspot.com/2016...kson-2016.html … Will ur rose b there? Last edited by MJ TinkerBell; 15-06-2016 at 04:50 AM. Last edited by MJ TinkerBell; 04-06-2016 at 04:21 AM. Just purchased two. How I wish I'd known about this yearly event before I joined this forum. Last edited by Bad7; 04-06-2016 at 01:40 PM. I'm so sad that the number of roses is so few this year. We've been seven years without him. 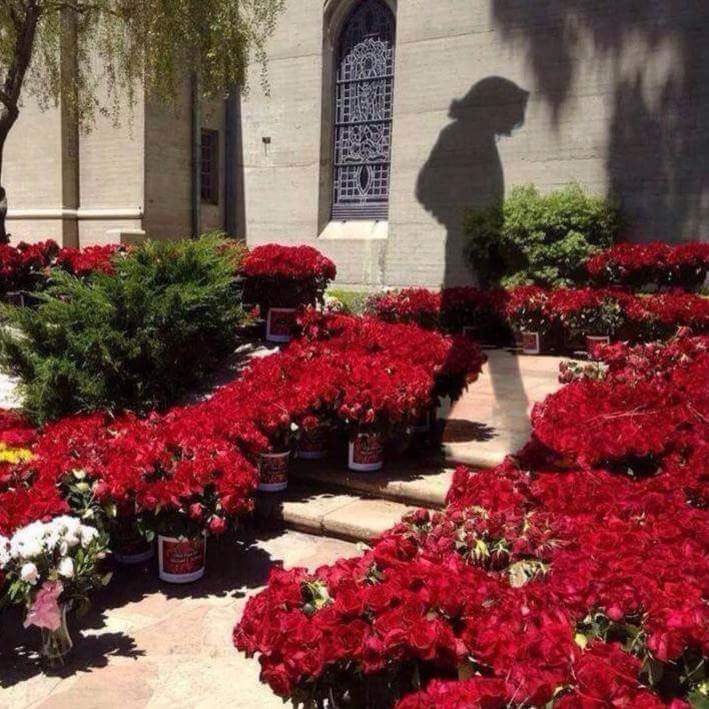 I've purchased my roses and I've retweeted and posted about this beautiful event everywhere.......I really hope that there's a late flood of people wanting to send him some love this June. I agree with that sentiment but I don't think it's the case. Hope not anyway. 5000 or so were how many they collected the first year and it was amazingly beautiful.